Inside Trail had to endure a massive power outage yesterday, hence delaying our little preview of some championship racing this weekend. We apologize; and we are certainly waiting for SDG&E’s apology for what was a pretty frightening incident and realization that “the grid” is as stable as some countries’ chances at this weekend’s 27thWorld Mountain Running Championship. 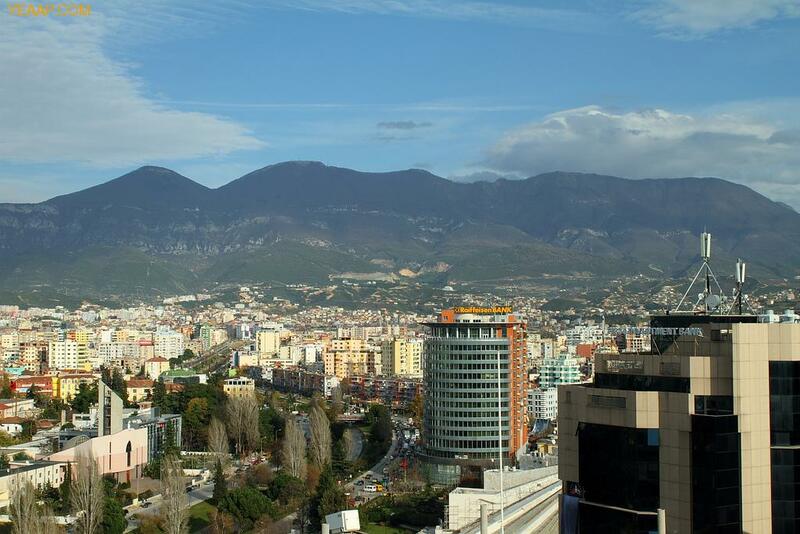 The 2011 WMRC this Sunday is in Tirana, Albania. Representative teams are poised to run the different versions of the 4.5 kilometer loop (the senior men will run three loops totaling 12.47 kilometers with roughly 850m of total ascent, or 2800ft.). You might notice various descriptions of Tirana floating around characterizing the city as ancient, the country mysterious and mountainous. Much of whatever was ancient about Tirana was “renewed” under communism and the city today is described as “new” by one of my family members, a native Albanian. He was actually surprised to hear the WMRC were being held in his homeland; “the only running done in that city was from communists, so this is good, this mountain running.” My father-in-law mentioned that this is a big event for his country, part of its recent and continuing efforts to establish a sense of independence and international credibility. Who says mountain running is some kind of niche sport with little cultural relevance? The athletes will be staying in Durres, which is on the coast, and the race will be in the hills of Tirana, which does not resemble the mountainous parts of Albania. Some have called the 2011 WMRC a cross-country-like competition, lacking more technical kinds of trail. The course’s combination of dirt, grass, and single-track will favor, undoubtedly, specific countries and runners. As for the favorites, we have to say the trend of African (Kenyan, Ugandan and Eritrean) teams smothering the senior men’s top-ten might continue, especially given the less technical course. Starting in 2009, African runners seem to have certainly focused more on this race and have therefore dominated. James Kibet, Martin Toroitich, Geoffrey Kusuro and Stephan Kiprotich will be among runners from Uganda looking for the win, as will Geoffrey Ndungu and Issac Kosegi of Kenya. Although last year’s winner from Eritrea, Teklay Weldemariam, doesn’t appear to be racing, this speedy African nation will certainly represent, as well. 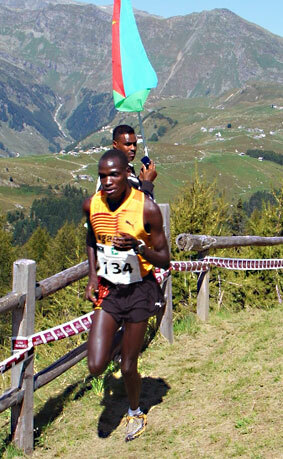 Again, look for runners from Africa to continue their 2009 to present dominance of the WMRC. Italians will come to race as well. Sierre-Zinal winner Marco De Gasperi should be ready along with his fellow countrymen Garbrielle Abate and the Dematteis brothers. Turkish mountain specialist (and 5 time Eruopean Champion) Ahmet Azlan, Swiss David Schneider (Schneider and Azlan are currently tied for 1st in the WMRA Grand Prix, of which the WMRC in Tirana is race 5 of a 6 race series), and mountain running legend Jonothan Wyatt could be in the mix as well. Wyatt has begun to show better form lately in his return from an injury. Wyatt’s Italian wife Antonella Confortella will be competitive in the women’s race along with fellow countrywoman Valentine Belotti (2009 Champ and 2010 runner-up) as will Grand Prix leader Lucija Krkoc, of Slovenia. England’s Lizzie Adams and Emma Clayton should show impressively, as well as a host of other European runners. credibility. And we are certainly interested in the race of one Oliver Bear Don’t Walk, who represents the junior U.S. team. At 17 he broke the American junior 50k-track record by running 3:10, or 125 laps. Let’s hope this young American can do work on Tirana’s speedy 12.47k course. Americans Kasie Enman and Megan Lund-Lizotte will lead the American women into battle, Lund-Lizotte hoping to find her 2009 form when she placed 16th in this race. The race will be televised live in Albania, symbolizing the cultural importance of this event and the huge civic support. IAAF, WMRA and government officials have been working very hard to make this race a big success and prove to the world the potential and relevance of this emerging European country. Good luck to all runners, race organizers and Albania on a successful 27th World Mountain Running Championship. 3rd at last year’s championships. 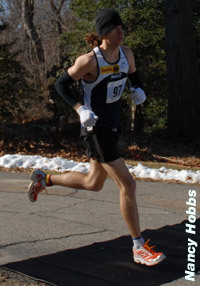 Andy Henshaw will look to confirm his great win at the 2011 Mad City 100k (6:37) and Chikara Omine, Joe Binder, Matt Woods and David Riddle will be there to do more than just show-up, as well. The men’s team silver in 2010 was stellar, so here’s to another IAU 100k WC podium! The women’s team is loaded, too, with Meghan Arboghast , who was 5th in last year’s championship, Annette Bednosky, 2011 Mad City winner Devon Crosby-Helms, Kami Semick, Carolyn Smith, and Pam Smith representing the red, white and blue. 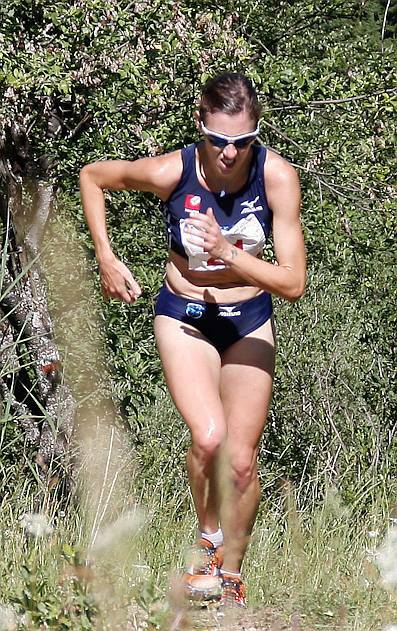 Ellie Greenwood will look to return and repeat her 2010 performance as the IAU 100k World Champ, perhaps cementing her hold on the 2011 UROY award, despite representing England in this weekend’s 100k. Inside Trail is keen to share our thoughts on the UROY in an up-coming post. In deed, this weekend’s IAU 100k Championship, as well as the USATF end-of-year awards play-into our conversation. Why isn’t there more U.S. representation in this weekend’s world championship? Unfortunately, we have found the web site to be at least one indication why there is so little exposure. Dead links and out-dated information suggest others (in this case the race organizers!) don’t seem to care that much either. Anyways, best of luck to all participants throwing-down in this 100k championship race! It seems like the 100k distance is generally the orphan distance … us US folks will use the metric system some day. Really. What do you mean by more US representation. I’m pretty sure we sent two full teams, and I think you had to come close to running under 7 hrs. to make the men’s team. Let me preface by saying Dave Mackey is a great talent having a great year. No question. But, my point in the post is the IAU 100K WC is under the radar, said in the context of a genuine failure on the part of whomever (the ultra community I suppose) to insist on a more organized end of year “awards ceremony.” It’s said in the context of wondering why the UROY award is so significant at this point when recognizing the best North American ultra runners is analogous to crowning a high school prom king and queen (okay, not that bad but it certainly lacks credibility now, especially on the men’s side with the dead-horse reference to non-American success in N.A.). The award is parochial. The sport is not. So “more US representation” refers to that 100k perhaps not having our best representation, though it is TOUGH to argue with Wardian and Henshaw (studs). I’m only suggesting that if it was a recognized world championship (carrying more weight than say UROY which has as much to with “world” as one of your local high schools), perhaps more ultra runners would give it more consideration. And the only reason a comparison is made between IAU’s 100k and UROY is the fact that the latter is synonymous with “the best” (in the world). I’d like to know who you think would make the strongest US 100k team? Both the 100k and the WMRC are recognized by the IAAF as WORLD CHAMPIONSHIPS. Even if they were still called Trophy races, would it really matter? They are international championships. Part of the problem is that most US runners know more about the 17th finisher at Western States than any of the top international 100k runners. That is fine, just don’t pretend the UROY is the best in the world without any data to support that claim. Along those lines, what is implied by the following statement in the IT commentary? When in the past would you say this was true? My point is that US ultra trail runners have rarely compete internationally. If you drop the “100 miler mountain” part, I think you could find some examples. Ben, we agree. The the reason I say UROY is more significant is because everyone knows about it. My suggestion that they (UROY) might have gotten it right in the past is just a conciliatory gesture. North America can’t make the claim now forsure even at that ultra trail mountain 100. Again, I think we agree. You’ve been all over this topic for a while. Tim and I will have more on it soon.